Droid Quirk (nervous) – The Prowler 1000 becomes nervous in common situations, bobbing up and down on its repulsors. 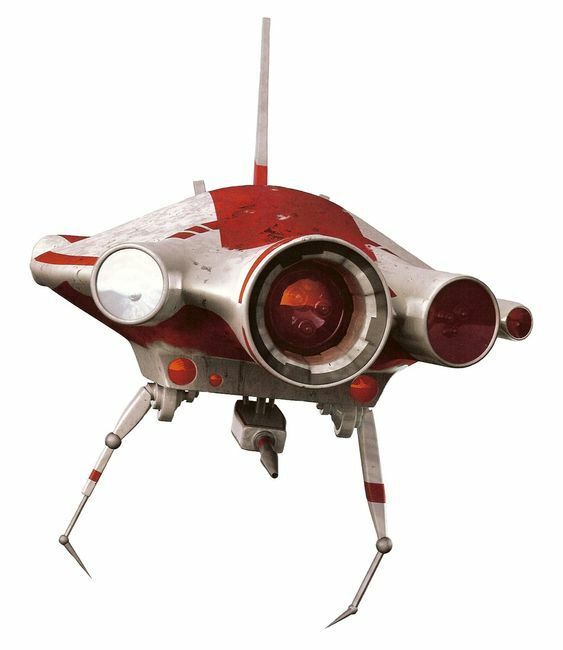 Xi is a heavily modified Arakyd Prowler 1000 who was Jarod Thane's companion during te Clone Wars. He now serves Felix Wildstar, Jerod's son.